Copyright: All artwork entered into the competition remains 100% copyright of he artist. All artwork can be used in marketing and advertising the competition from Bridgeman and third parties. 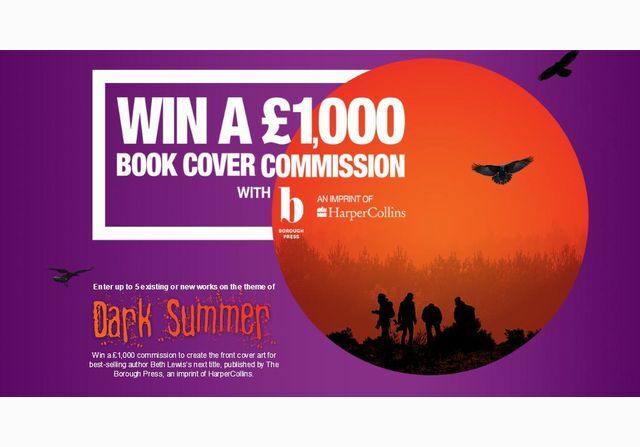 a £1,000 commission to create the front cover art for award-winning author Beth Lewis’s next title, published by The Borough Press, an imprint of HarperCollins. Final decision and announcement for the winners will be announced mid-September. You can enter up to 5 photographs. Online submission of digital photographs via the website.